Happy New Year from all of us at Smartwhere! Welcome to the final weekly proximity marketing news digest for 2015, where we’ve been striving to bring you the most intriguing location-based tech stories. As we fast approach 2016, my security team and I have been compiling a forecast of mobile security trends and vulnerabilities that concern us most. My goal in outlining these threats is not to raise alarm or panic, but to paint a picture of the gravest security concerns we face in the coming year, and hopefully, encourage the industry at large to prepare for them now.With the proper precautions, most of them can be minimized, or forestalled altogether. The horrific attacks in Paris, San Bernardino, and other locales around the world ensure that terrorism will overshadow mobile security concerns next year. We will see growing concern over usage of Telegram and Redphone-type communication apps that use end-to-end encryption to avoid eavesdropping. My team has also been tracking the appearance of legitimate-looking apps that criminals are using to communicate with each other for a very temporary time period (sometimes only once). Looking ahead, we should expect terrorists to leverage major online media services such as YouTube for covert communications by integrating hidden data in videos — for example, special audio frequencies that cannot be heard/understood by humans but are translatable through a special listening program. During a preholiday shopping trip to New York, Lisa Libretto received an enticing alert on her iPhone: an offer for a $25 discount on a Vince Camuto handbag that she had coveted on the retailer’s website. “If my phone is alerting me to the discount or some information about items I might like, that will totally pull me in,” said Ms. Libretto, who lives in Ridgefield, Conn. The alert arrived at an opportune time, pinging as she neared the entrance of the Vince Camuto store. And it cemented her decision: She would buy the purse after all. But the timing was no coincidence. The app that she had downloaded from ShopAdvisor used beacon technology, a new addition to location-based marketing, to pinpoint her whereabouts before sending the discount. “I hope it’s a technology more companies will use,” she said. 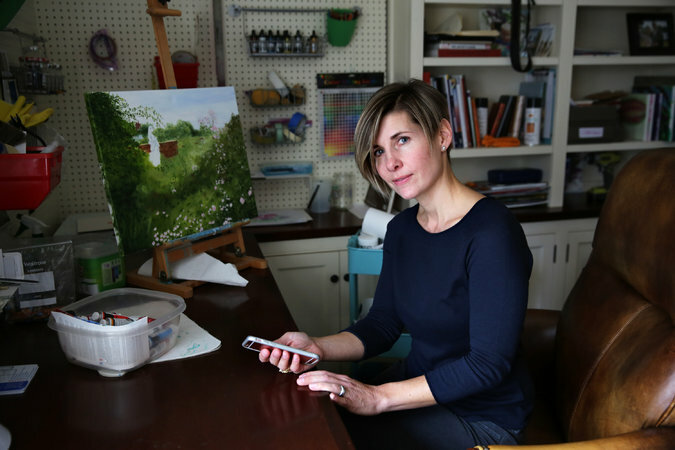 Ms. Libretto, 44, an artist and stay-at-home mother with two young sons, has embraced online shopping. “My time is so short that when I do get to shop, the alerts are fantastic,” she said. Retailers have been obsessed with improving the customer experience, experimenting with ‘revolutionary’ technologies like iBeacons or QR codes just to stay on the cutting edge and remain competitive. These projects are designed around the idea that, once installed, they’ll fulfill the promise of footfall, conversions, or loyalty – whereas in truth, when these technologies are implemented without aligning with a retailer’s value proposition, they often fall short of expectations, resulting in little-to-no proof of return. There’s no denying technology’s importance and role in a multi-channel environment, but focusing solely on technology is a misguided approach and can potentially fall just short of an impersonal shopping experience. However, a customer-centric view that focuses on delivering value every time, will dictate a winning digital strategy. In the year ahead, retailers will place an emphasis on maximizing value from touch points which align customers’ needs with their own business goals. One of the most competitive markets to be in is the food business. Because of this, how a restaurant markets itself can be the difference between success and failure. You might have the greatest tasting food in the world, but if you’re not actively marketing your product in the correct way, you simply won’t make it in the food industry. Word of mouth can be a great thing, but it can’t be the only thing. In today’s society, using technology in one form or another is key to your success. In 2016, two markets that will be greatly affected by the use of technology are the retail sector and dining sector. There are new stores and online offerings popping up every day promising better deals and better meals. You have to adapt and innovate to stay relevant, and marketing is the first step in that. Restaurants need to market themselves to be accessible and appealing to an ever growing consumer base that prioritizes efficiency, creativity, and competitive pricing. The creative side of their marketing strategy in part comes from chefs who push the envelope, but what about the efficient side? That’s where restaurants can use technology to better market themselves. While reservation apps have been a staple for years, and a great starting point, there are now services coming out that make it even more convenient. Apps like Allset have allowed restaurants in the San Francisco/Palo Alto to cater to an entirely new group of people looking for a quick and nice sit down meal. Sure, there is always delivery and takeout, but sometimes you simply want to get out of the office for a bit and clear your mind. As more consumers turn to their mobile devices as their primary way to interact, entertain and consume, there’s no question that mobile is the future of marketing. But that message hit home even harder this year, with Google’s official announcement that more searches come from mobile than desktops, along with the tech giant’s long-anticipated release of its mobile-friendly algorithm. Some of our columns took a deep dive into key trends and stats that dominated the mobile marketing industry, as marketers looked for insights into what to expect next. Readers were also interested in advancements in mobile technologies, such as push notifications and the Apple Watch, and how they might shape the mobile landscape moving forward.